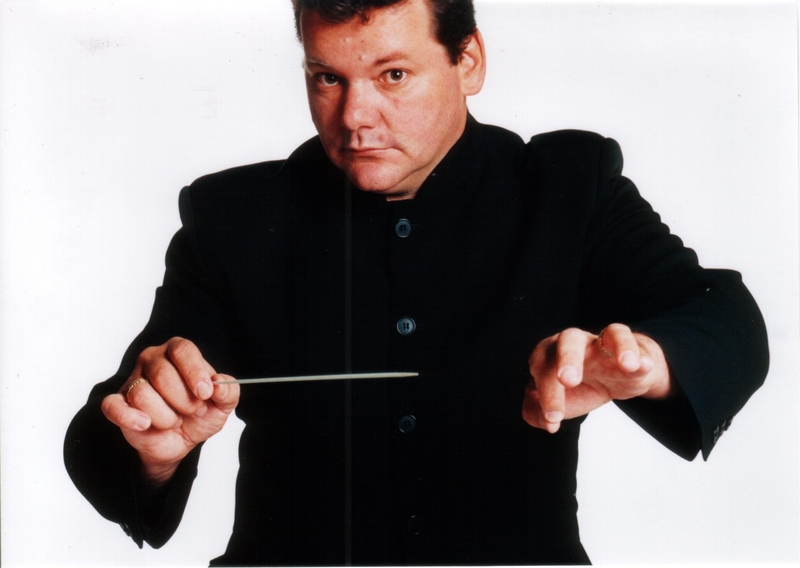 Sean O’Boyle is one of Australia’s most experienced conductors, orchestral arrangers and composers and, for his services to music, was awarded a MEMBER OF THE ORDER OF AUSTRALIA in 2015. From 1994 until 1997 he was Music Director at WARNER BROS. MOVIE WORLD on the Gold Coast. Since that time he has regularly been engaged to conduct the Australian symphony orchestras in 1998 conducting the QUEENSLAND SYMPHONY ORCHESTRA in its ALL YOU NEED IS BEATLES concert and in the RIVERSYMPHONY and RIVERPRIZE concerts of Brisbane’s RIVERFESTIVAL and the ADELAIDE SYMPHONY ORCHESTRA’s GERSHWIN COUNTRY concerts and SHOWTIME series of concerts and its ABC label recording, TRUE BLUE CLASSICS. From 2001 to 2004 Sean O’Boyle appeared in repeat performances with the QUEENSLAND SYMPHONY ORCHESTRA and TASMANIAN SYMPHONY ORCHESTRA in his children’s program with ABC TV ’s PLAYSCHOOL star, George Spartells, GEORGE MEETS THE ORCHESTRA. He was a regular conductor of James Morrison’s orchestral concerts with the ADELAIDE SYMPHONY ORCHESTRA, ORCHESTRA VICTORIA and, during 2005, with the AUCKLAND PHILHARMONIA ORCHESTRA in New Zealand, and of Tommy Emmanuel’s orchestral concerts with the WEST AUSTRALIAN SYMPHONY ORCHESTRA and, during 2005, in Dortmund, Germany and with the LEXINGTON SYMPHONY ORCHESTRA in Kentucky. 2005 also included engagements with the WEST AUSTRALIAN SYMPHONY ORCHESTRA for concerts featuring THE WHITLAMS, and conducting a major series of concerts with the WEST AUSTRALIAN SYMPHONY ORCHESTRA, the TASMANIAN SYMPHONY ORCHESTRA and the ADELAIDE SYMPHONY ORCHESTRA featuring singer, Kate Ceberano. During 2007 he made his debut with the BBC CONCERT ORCHESTRA in concerts featuring James Morrison and conducted SCOTLAND THE BRAVE in Auckland, Toronto and in Melbourne with the MELBOURNE SYMPHONY ORCHESTRA. 2008 included further performances of SCOTLAND THE BRAVE in Wellington and saw him conduct his own LOST IN SPACE program for schools audiences with the MALAYSIAN PHILHARMONIC ORCHESTRA in Kuala Lumpur. 2009 included performances of SCOTLAND THE BRAVE in ROY THOMSON HALL in Toronto and AVERY FISCHER HALL at the LINCOLN CENTRE in New York, concerts featuring James Morrison entitled LATIN FIESTA with the WEST AUSTRALIAN SYMPHONY ORCHESTRA and the TASMANIAN SYMPHONY ORCHESTRA and further performances of LOST IN SPACE with the AUCKLAND PHILHARMONIA ORCHESTRA. Sean O’Boyle‘s engagements during 2010 included further performances of SCOTLAND THE BRAVE with the ADELAIDE SYMPHONY ORCHESTRA and the WEST AUSTRALIAN SYMPHONY ORCHESTRA, at HAMER HALL in Melbourne and at the SYDNEY OPERA HOUSE. During 2012 he was Music Director for the QUEENSLAND BALLET’s CLOUDLAND tour. Engagements in Australia during 2015 included conducting the QUEENSLAND MUSIC FESTIVAL’s MT ISA CELEBRATES concerts. He is engaged to conduct the world-premiere season of MIMMA for ORANA PRODUCTIONS in 2019. Of his work, THE SUNDAY MAIL in Brisbane has written, Gershwin wizz, Sean O’Boyle…drew splendid playing from the orchestra.